10:59 AM I see that Europe's MacDonalds are going gangbusters. When Becky and I lived in Basel in the early 1980s we would "splurge" by going to the MacDonalds at the Barrfuesserplatz every Friday evening for a little taste of America. If the weather was mild we would walk there from our tiny one-room apartment near the Rhine. Becky got a Big Mac while I always went for the Filet O' Fish. What happy memories! 10:53 AM Fall semester update: I'll be going to my Wake Forest office tomorrow to work on my fall syllabi. They should be posted by Friday at the seminary website. If you're planning on taking my Greek exegesis course, I've chosen Philippians for our book study. Feel free to get a head start in translating it. Only 23 days before classes begin. 8:14 AM The latest addition to our home page is called A Lesson from the Garden. 8:10 AM Words can't begin to describe the excellent job our editor in Dallas has done with our Greek DVD series. Becky and I kept saying "Wow" over and over as we watched the first two installments. We've given him the green light to proceed at full speed with the remaining lessons. He's done such a good job I told Becky I may take the course myself. 9:58 AM The latest addition to our home page is called Developing Biblical Convictions. 9:54 AM God has arms. Until we have an expectation that students of Greek and Hebrew will be able to pick up their main text and read it at sight and understand it without translating, then Greek and Hebrew will continue to be arcane sciences concerned with deciphering ancient texts. Because Greek Exegesis is so high a priority, 2nd Year greek here becomes entirely a cipher-game, as students are taught to analyse and classify every use of every word in a verse, and pin it down to one of 21432 uses of the genitive. The problem? No one used greek like that. While there may well be 21432 uses, the authors of greek texts simply used the genitive, because that was the right form to express their idea. They didn't choose between the genitive of Type-X and the genitive of Type-Y, they simply chose the genitive. What this seminary creates, as so many schools of greek do, is code-breakers, analysts of greek language. not people who can read and understand greek as a language. 9:43 AM Are you a missionary or a "stationary"? Either way, says Jay Bell, you are to be on mission for Jesus. 9:41 AM Over at Summa Philosophiae there's an excellent review of Michael Green's latest book, The Books the Church Suppressed: Fiction and Truth in The Da Vinci Code. Michael Green is an amazing, balanced New Testament scholar/churchman with a passion formissions and evangelism. My kind of guy exactly. 9:37 AM Wheaton College is seeking a teacher of Old Testament. 9:35 AM Tuesday shout-out to Steve Sensenig (author of "A Blogger's Version of 1 Corinthians 13") on the first anniversary of his blog. Heartiest congratulations. 11:50 AM Stephen Orr just sent me a link to his excellent website devoted to aging parents. Stephen has just completed a book on the topic. To learn more, go here. Thank you, brother, for sharing your ministry with the blogging community. 8:54 AM More great news! Yesterday our son David presented to the elders in the Deda church the funds needed to complete the refitting of the foundation of their meeting hall. (You will recall that a faulty foundation led to termite infestation.) He also presented 200 Amharic Bibles to those who had completed their memory work. David reported to us that the church has grown from 300 to 400 members since Becky and I were there. Remember, this is in theMuslim province of Alaba. Amazing. Here are the elders of the Deda church when we met with them last December. Deda is our David's native village. 8:52 AM Great news! We just received the first 2 installments of my Greek course on DVD. I'll be reviewing it this evening. If everything is running smoothly, we'll give our editor in Dallas the nod to complete the series. It may even be ready this fall. If you've written to me asking about the DVDs, I've got your email on file and will contact you personally just as soon as I know they're available. If you would like me to add your name to that list, I'd be glad to do so. 8:46 AM A gorgeous, sunny morning in southern Virginia. It's nice to be blogging again. It's simply amazing to me how quickly and easily the internet allows me to connect with people worldwide. I'm glad I can walk away from it for a week or two if I need to, but there is so much to say, and so many matters that need updating, that I end up posting at least once a day. Last week in Kansas City, when I was asked where I got my news from since we don't watch any TV at the farm, my answer was simply: the internet. Here you can get the news you need when you need it, without the commercials (and with just the biases you want, I guess. All news is "biased"!). My students are also aware that some of the best research tools for studying Greek (or any other subject for that matter) are available, free of charge, on the web. One student wanted to teach himself German and asked where he could go. Another asked me about a parsing guide for reading his Greek New Testament. Still another wanted to know about European universities that offer accredited doctoral programs. All of this information is available at the click of a mouse. I even told them I was thinking of publishing my first internet book shortly. I keep thinking: What in the world did we do before computers? (I pause here and sigh, thinking about the first two books I wrote. They were done on a thing called a "typewriter." Remember those?) A lot of you really should be on the internet, if for no other reason than it disciplines you to express yourself clearly and succinctly. It will also help you to develop your writing talent. And there is a ready audience waiting for you to say something interesting and edifying. So...? 6:52 PM Just a couple of quick notes. (1) Becky Lynn and I had a marvelous time this morning at Antioch Baptist Church in Charlotte County, VA. It had been over 3 years since I was there. Once again they are without a pastor. Becky was asked to give an impromptu "children's sermon," which she did superbly and without any bells and whistles -- just her Bible. I spoke on "Jesus, the World's Greatest Missionary" from Matthew 9, and next week we'll share about the work God is doing in Ethiopia. This afternoon while Becky was canning Nate and I drove out to a farm to see about purchasing their mower. It didn't fit our tractor, so back to square one. I'm still talking about my trip last week. It was pure joy to fellowship with such a variety of students. On Wednesday Bill Victor drove up from southern Missouri to have dinner with me. Bill is a freshly-minted Ph.D. student from Southwestern Seminary and an up-and-coming New Testament scholar. By the way, Bill edits this interesting blog. (2) If you haven't been keeping up with the unrest on the Ethiopia-Somalia border, go hereand here. I would like to see thousands of Americans praying for the peace of that region in addition to the situation in the Middle East. (3) Becky hopes to publish her next Ethiopia report this week. This issue will likely feature our tentative plans for our next trip and how you can help if the Lord Jesus tells you to. 6:38 PM Just back from Kansas City. At the moment I'm alone because Becky is working at the hospital and Nate is out on a job. I had one of the best classes I've ever taught as an adjunct. I can't prove that scientifically, but the students went away, I believe, with a major recommitment to follow the Word of God and to wean themselves from man-made thinking. I spent a lot of time talking about the New Testament church and how simply it has been designed by its Founder. Congrats to all my students at Midwestern. You were a great group and I look forward to reading your term papers and exams. Right now I'm going to visit the animals, especially the Shelties. I'll get to your emails tomorrow. 4:10 PM The roof to the chicken mansion is done. Amen and amen. We worked in extreme humidity, and I mean extreme. Right now I'm indoors packing my bags. I'm amazed at how dependent I've become on air conditioning. Growing up in Hawaii I never noticed the humidity. But after I moved to California, where the heat is very dry, I noticed it on trips back home. Right now things are scattered all over the floor in my bedroom. Looks like I'll have to check one bag. I don't like to do that on short trips, but I've got so many teaching materials and books that it's unavoidable. Lord willing, this time tomorrow I'll be lounging in the campus guest housing. It's called the "Vivion Farm Home." Sounds cozy. 7:23 AM I'm on the road again. I leave early tomorrow for a week in Kansas City, MO, to teach a class at Midwestern Seminary. I'm taking tons of handouts for my students. My teaching schedule is 8:00 to 5:50 daily. If you write, I will have access to email, but it may take a while before I can get back to you. A friend said I will enjoy the campus. The weather promises to be clear and in the low 90s. Not bad at all. In class we'll be discussing some important topics, including the husband of one wife requirement in 1 Tim. 3:2, the role of tongues-speaking in the church (then and now), the "Pauline" authorship of Hebrews, the Galatian heresy (and its modern counterparts), and the role of women in ministry. I'll also be teaching my students how to go from biblical text to teaching outline, based on the 10 steps outlined here. Then they'll do an exegesis of a passage of their choice from the epistles. Our reading will take us into some hotly debated issues such as the place of pseudonymity in the New Testament (Terry Wilder, of their faculty, is an expert on this subject), the use of the Old Testament in the New, approaches to the study of the Book of Revelation, and New Testament Textual Criticism. As always, I'm praying that I would get out of the way and let the Lord Jesus do all the teaching (1 John 2:27). Should be gobs of fun. I do plan to get some writing done every evening. I also plan to get a picture of me at the James' farm. Hope you have a great week as well. Right now it's time to work on the chicken house. 7:17 AM The latest addition to our home page is called Men From Among You. 1:57 PM Mission accomplished. The tin is ours. 'Nuff said. 6:45 AM Southeastern University in Lakeland, Florida, has an opening in missions. 6:39 AM It looks like today's the day we'll scavenge the tin. 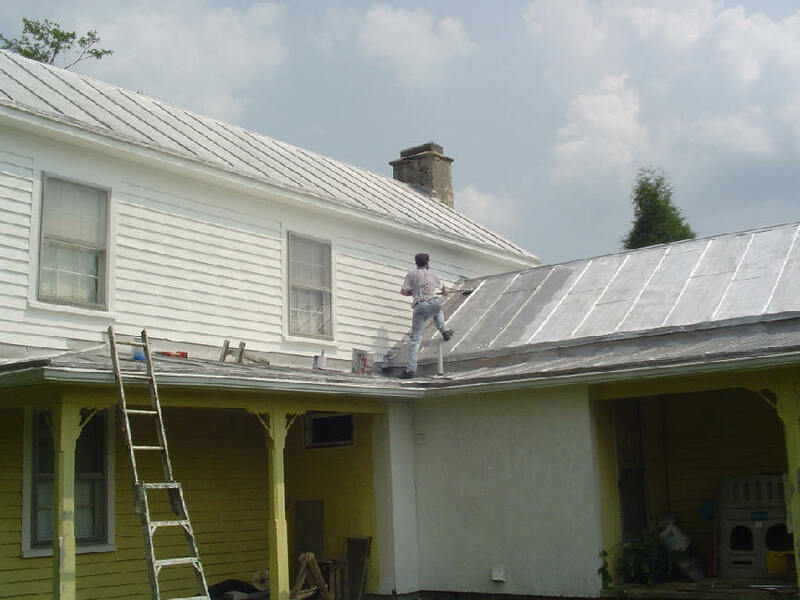 Yesterday Nathan wanted to take advantage of the good weather to do a job for a neighboring farmer -- painting his roof, to be exact. We worked from 9:00 to 4:30 without lunch. I did the cutting in, Nate used the long-handled brush. Of course, I managed to get paint on the siding wherever I went, so back up the ladder with the white paint for some touching up. I don't try to be a klutz. It just comes naturally. By the way, I survived my ascent to the rooftop just fine. 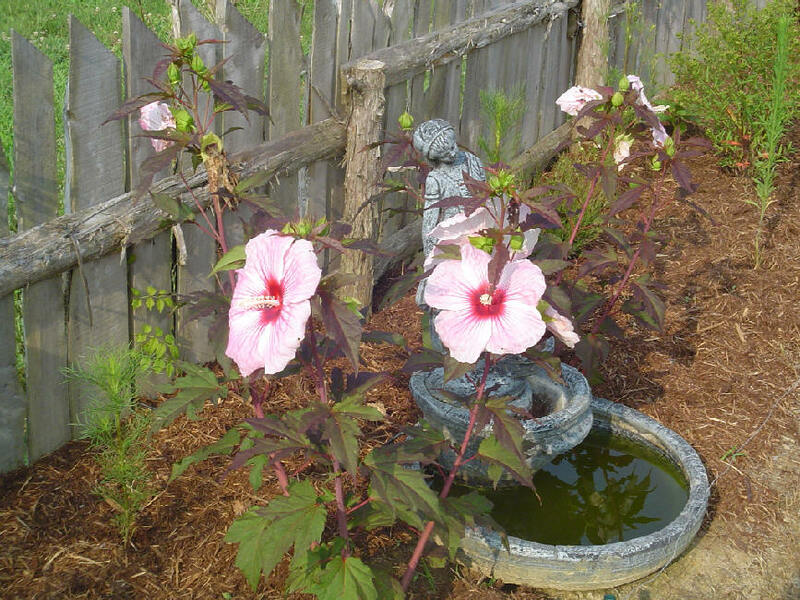 6:34 AM On the gardening front, I wonder what Becky Lynn has been feeding her hibiscus plant. Even in Hawaii they don't grow this big. 6:26 AM Ingrid Schlueter has written an insightful article on Rick Warren's upcoming trip to North Korea. Can we expect a strong evangelistic message emphasizing Christ's Lordship? Sadly, I doubt it. Go here to read more about this wonderful opportunity. 6:42 AM Rhett Wilson has joined the blogging world. I love his blog name too. Remember, Rhett, blogging is like voting: do it early, and do it often. 6:32 AM The way back home. A marvelous poem. 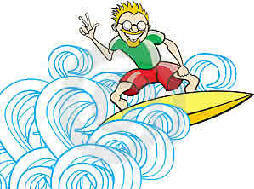 6:30 AM And all this time I thought “dude” derived from the surfing subculture (as in “surfer dude”). 6:26 AM Palm Beach Atlantic University in Florida announces an opening in Christian Leadership. 6:23 AM Looking ahead to the fall, I’ll be teaching two courses of Elementary Greek and one Syntax and Exegesis class. My classes will fall on Tuesdays and Wednesdays. For the first time in many years I’ll be teaching a night class. Elementary Greek meets on Tuesdays from 6:30-9:30 pm. It would make a good class for those of you who commute to Wake Forest. I’d also like to see many pastors/elders audit the class if they haven’t already had Greek or need a refresher. I’m not sure when registration begins, but if you’re interested in any of these classes please contact our Registry at registrar@sebts.edu. I’ll post the course syllabi in August. 6:20 AM Yesterday a colleague of mine who has been to KC was telling me where I can get good barbecue in town. Meaning beef, of course, not pork. Only beef is real barbecue. Naturally the best barbecue is to be had at Rosewood Farm, Virginia. On Monday night Becky made the best baby-back ribs I’ve ever had. On Sunday I was talking to someone at Childrey Baptist Church who raises goats. "Not for meat," she assured me. "You see," she said, "we name all of our goats and we just can’t bring ourselves to eat our pets." We don’t seem to have that problem on our farm. At the age of sixteen John Brown, of Haddington, startled a bookseller by asking for a copy of the Greek Testament. He was barefooted and clad in ragged homespun clothes. He was a shepherd boy from the hills of Scotland. "What would you do with that book?" a professor scornfully asked. "I'll try to read it," the lad replied, and proceeded to read off a passage in the Gospel of John. He went off in triumph with the coveted prize, but the story spread that he was a wizard and had learned Greek by the black art. He was actually arraigned for witchcraft, but in 1746 the elders and deacons at Abernethy gave him a vote of acquittal, although the minister would not sign it. His letter of defence, Sir W. Robertson Nicoll says (The British Weekly, Oct. 3, 1918), "deserves to be reckoned among the memorable letters of the world." John Brown became a divinity student and finally professor of divinity. In the chapel at Mansfield College, Oxford, Brown's figure ranks with those of Doddridge, Fry, Chalmers, Vinet, Schleiermacher. He had taught himself Greek while herding his sheep, and he did it without a grammar.Surely young John Brown of Haddington should forever put to shame those theological students and busy pastors who neglect the Greek Testament, though teacher, grammar, lexicon are at their disposal. If elders are not chosen from among the church, then the people will not consider them as part of the church. Thus, it is easy for an elder to leave one group for another, and for a church to "fire" an elder. Since there is only a short-term relationship involved, not much is lost. However, if the elder is part of the church (even before being an elder), then there is a much more intimate relationship involved. You will not be able to "get rid" of an elder just by firing him. 6:04 AM Did you know the ancient Greeks had a word for “freckles”? They also hadcomputers. Amazing. 5:59 AM The latest addition to our home page is called Letter to My Greek Students. 5:56 AM Have you heard of the latest extreme sport? It's called Extreme Scavenging. That's what Nate and I will be doing this week. 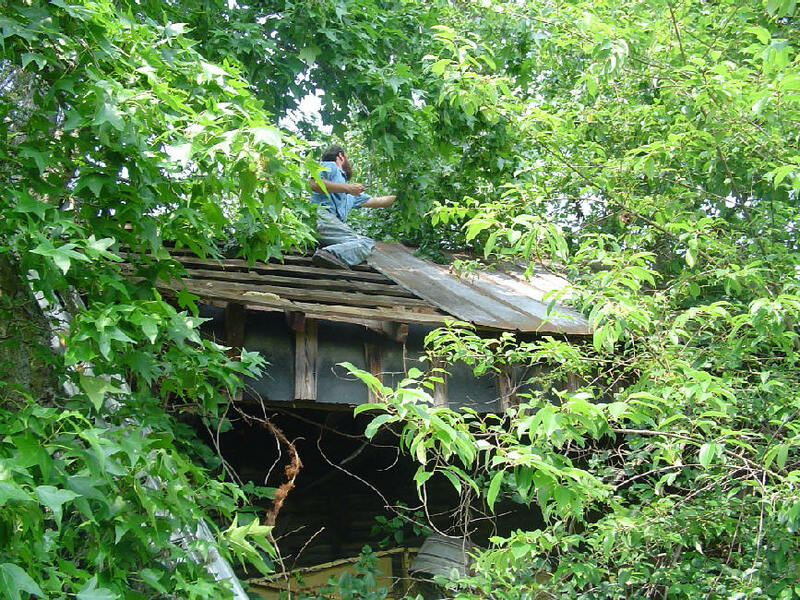 A neighboring farmer has 3 old barns that he is allowing us to tear down and salvage the roofing tin from. We're doing this because we've run out of tin for our chicken mansion. The only problem is that all 3 of the buildings are completely covered with poison oak. This doesn't faze my son in the least. That's Nate for you. Completely fearless. He tells me he's immune to poison oak as well as poison ivy. Me? We'll find out I guess. Should be fun. If I survive. As this communication platform continues to develop, we must realize that concerns are warranted and precautions are necessary. However, opportunities also abound. 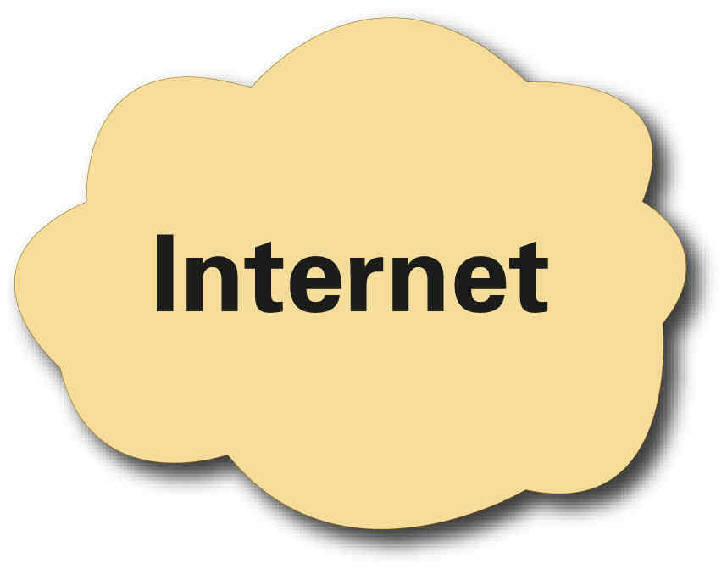 Latest studies show that “nearly two-thirds of online Americans use the Internet for faith-related reasons. The 64% of Internet users who perform spiritual and religious activities online represent nearly 82 million Americans.” To overlook this opportunity to declare and communicate truth would seem a tragic oversight indeed. Read the whole article, then go and start your own blog. 5:42 AM Had a great conversation yesterday with Doug Richey, who pastors over at Pisgah Baptist Church in Kansas City, where I'll be speaking on Sunday. Actually, the church is located several miles outside of the city in a place called Excelsior Springs. Thankfully, the directions sounded easy enough, though Doug warned me that the country is very hilly and there are no straight roads in town. I'm sort of used to this because I've taught twice in Seattle for Fuller Seminary and did a lot of driving in the very hilly Queen Anne district. Traveling so much to teach makes me think of the planetary system. Everything orbits for me around Wake Forest, my "earth," but occasionally my teaching space shuttle visits some far distant planet for a few weeks. It's always an enjoyable experience, but it's good to get back home when it's all over. Mam, thank you VERY VERY much for your sacrificial presence in our midst, all your provisions, and bringing Nathan and grand parents. My GREAT THANKS goes to my Papa for his sacrificial stay alone at home, which made your presence available among us. Mam, I kindly ask you to give great hag for Papa on behalf of me and tell him that it is from his son. Mam, thank you for doing that. I am very much longing to see and to hear his voices. I missed him a lot. I am overwhelmed with tremendous happiness when I read your plan to come to Ethiopia in December 2006.It gives us a time to see you once again and to serve the almighty Lord together in “green” Alaba. I love you VERY much. I am SO great full for the Lord for his love and grace up on you, as you are engaged in various responsibilities. We are praying about you and your ministry. It's because of men like Nigussie that the Gospel is going forth in such hard and difficult places like Alaba, and we thank God for the privilege of working alongside them. I think what God is doing among the most persecuted believers in the world is nothing short of miraculous. Below right: Nigussie at his graduation banquet in Addis Ababa, Ethiopia, in June. Nigussie was the class valedictorian. Next to him is our other son from Alaba, David (formerly Ahmed). 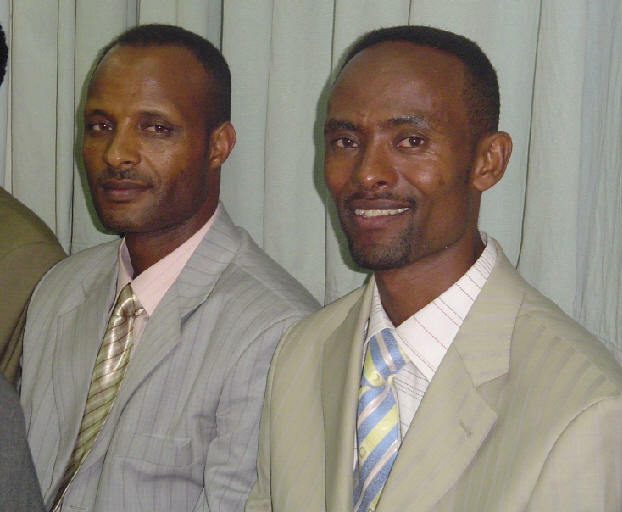 These men are at the forefront of evangelism in a province that is 99 percent Muslim. 6:23 AM Today concludes my 29th year of teaching New Testament Greek. I began my teaching career in 1976 at Biola College under the tutelage of Dr. Harry Sturz, who was kind enough to hire me to teach in the Greek Department. Our first year of instruction was in classical Greek, and we used a textbook that was designed for one semester at Harvard. We scraped by with two semesters. Eventually we began to offer Koine Greek in the first year. I have now taught New Testament courses and/or lectured on the New Testament in the U.S., Ethiopia, Germany, Switzerland, Holland, India, Korea, Britain, and Spain. I have to smile when I think that I lasted only 3 weeks before dropping when I took my first course in Greek. I am grateful to the many people who through the years took an interest in my career and encouraged me to study in Europe and even to write books on the New Testament. As a boy growing up on the shores of Oahu nothing could have been further from my mind than to be a Greek teacher. I shudder to think that I literally came "that" close to missing out on what has been a big part of God's will for my life. This past week I was counseling a student who is contemplating going into full time teaching at the seminary level. In all honesty I had to tell him that it is a wonderful career choice. It's clear to me that one of the best ministries I can have as I start my 30th year of instruction is to be an encouragement to the next generation of Greek scholars who are just now cutting their eye teeth in school. Along the way, if in His grace the Lord Jesus allows me to mentor a few more young scholars in the field, I will feel myself the most blessed man on earth. So, it's onward and upward until the Lord comes or He takes me home. Really, all I can say is: Praise God. 3:09 PM Just back from teaching in two services at Childrey Baptist Church in northern Halifax County. Beautiful country. In fact, we once looked at buying a farm about 10 miles from the church. We dubbed it the "Five Fields Farm" because it had several large pastures along with an old (restorable) farm house. Special thanks to Grayson Francis of Childrey for treating me to a great buffet dinner after the service. 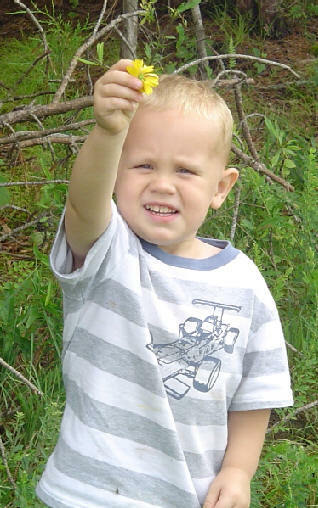 Grayson's family has lived in the area for generations and currently lives on his grandparents' farm, where the old place (built before the Civil War) is still standing. Needless to say, we had lots to talk about. 7:56 AM A week from today I'm scheduled to fly to Kansas City, Missouri, for my New Testament class at Midwestern Seminary. My wife has some ancestors who lived in Clay County and I hope to visit some of those sites as well as Jesse and Frank James' home place. Sunday morning I'll be speaking at Pisgah Baptist Church. 7:52 AM We've been hosting Caleb and Isaac Rondeau for a few days while their mommy was having her baby. Micah Rondeau arrived on Thursday. 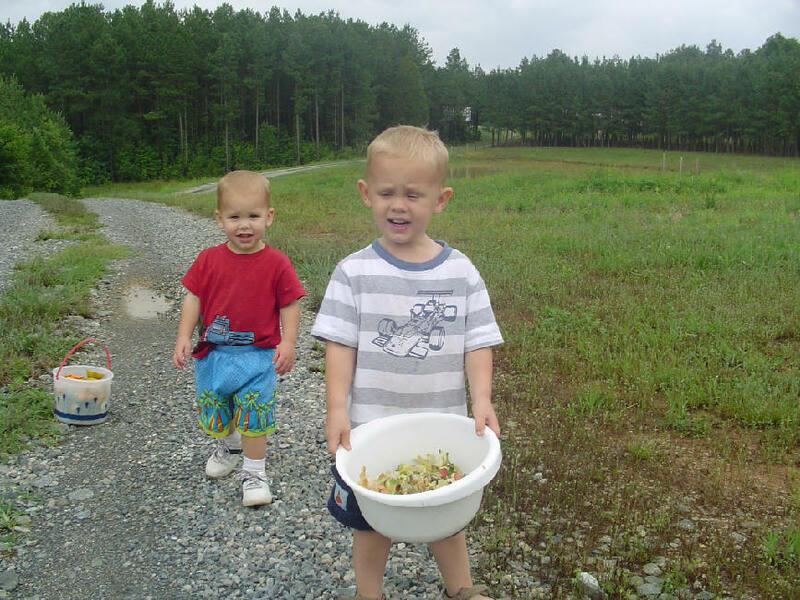 In the meantime the boys have been a joy to have around and have pitched right in with the work, including taking the scraps to the chickens. 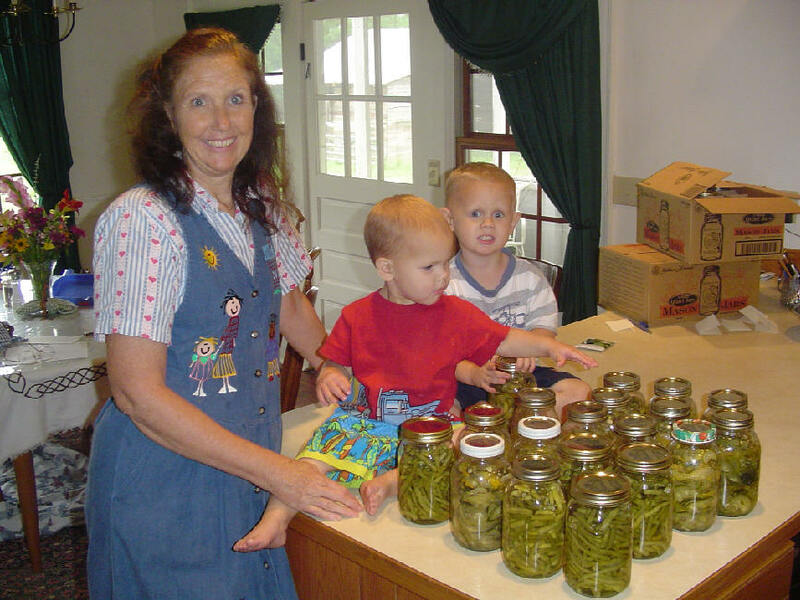 They also helped Mama B with her canning. Green beans and zucchini. Papa B takes the boys for long walks. 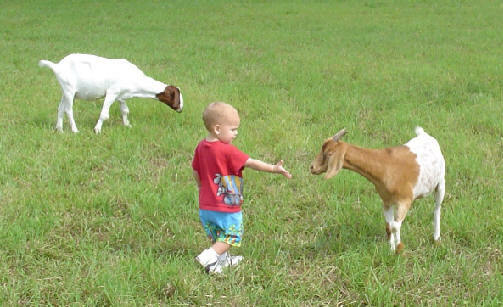 Isaac has enjoyed all the other "kids" he's met in the pasture. And Caleb loves to pick flowers for his Mama B.
Becky and the boys visited Liz, Matthew, and Micah in the hospital yesterday. Everyone is doing great and should be back home tomorrow. 7:46 AM This weekend I'm having my Greek students read my book New Testament Textual Criticism. I jokingly call it the "definitive 80-page book on the subject." It's an overview, nothing more. But even first-year students need to know something about all those hieroglyphics at the bottom of their Greek New Testaments. On Monday we'll have our last quiz, and on Tuesday the final. It's still hard to believe that the course is basically over. How many students will continue in their Greek studies? How many will actually use their Greek Bibles in ministry and life? Will someone from this class end up going into fulltime college or seminary teaching in New Testament? (I've seen this happen several times.) Time will tell. All I know is that God will not forget their efforts. Neither will I. 7:40 AM Did you notice how pleasant the weather is? It's sunny today but not too hot, perfect for working on the chicken house. I also hope to get a ride in. I love riding. 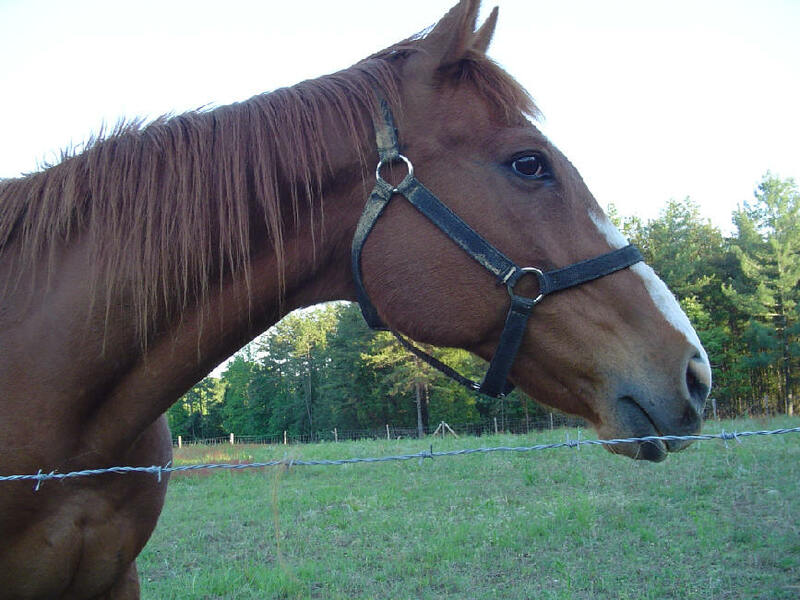 As someone once put it, "The outside of a horse is good for the inside of a man." We'll see, though. Usually I'm too tired for riding after doing construction work. And you don't want to ride Trav when you're tired. Because he's so high-spirited, he requires all the physical and mental energy you can muster. Incidentally, on a road near our farm they used to have horse races in the 1800s and early 1900s. They used this road because it had a mile-long straightaway. 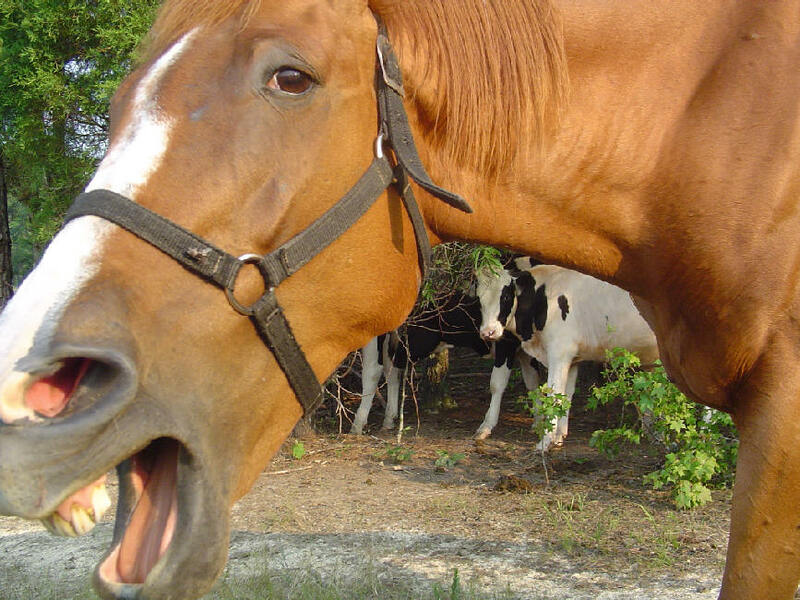 Now only a few neighbors have horses, and fewer still ride. People don't know what they're missing. 1) Matthew McDill writes to tell me that his article on the long ending of Mark has just appeared in Filologia Neotestamentaria. He has also posted an essay on "indigenous" church leadership at his website. Congratulations, Matthew, and keep up the good work. 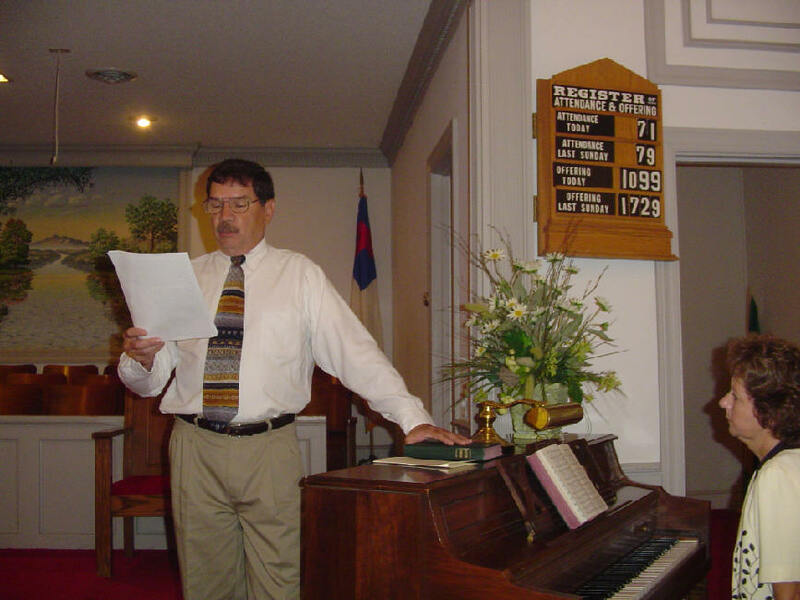 2) Tony Sisk, who pastors at Hunting Creek Baptist Church, asked how it went two Sundays ago when I spoke there and if I'd consider coming back sometime. I told him I felt right at home. Let me know when you want me to return, Tony, and I'll be there. 3) A DBO reader from Texas read my July 6 entry and kindly offered to transcribe for me the handwritten notes in my Greek New Testament. What an incredibly gracious offer. 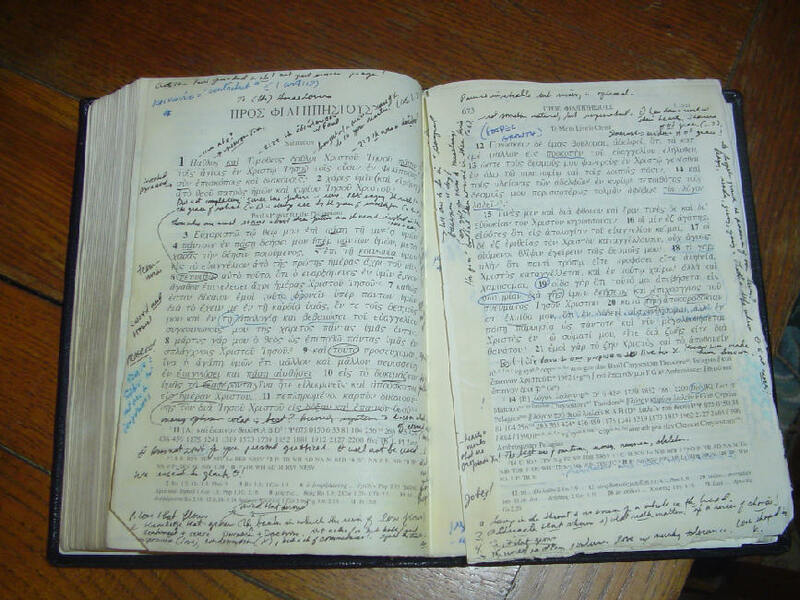 I told him my notes are too mundane and idiosyncratic to merit such treatment. But the thought was appreciated. 5:39 AM Boys and girls, please help us welcome the newest residents of Rosewood Farm. 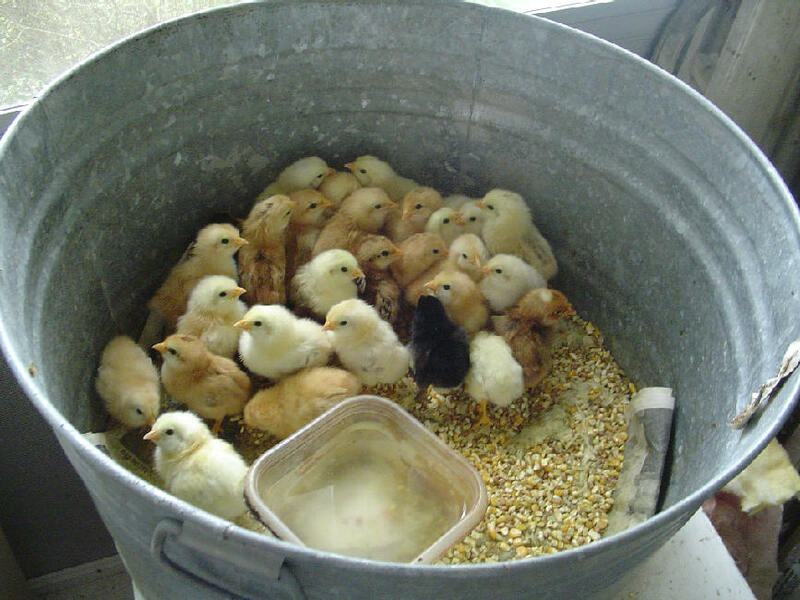 These chicks are 4 days old today. My heart was truly touched by Mrs. Black's Ethiopia reports. I literally got chills when I read of the possibility of placing the water wells closer to the dwellings. Thank you for taking the time to update us on everything. May the Lord continue to bless the work in Ethiopia. Our ministry in Ethiopia continues to be a critical part of my life. This is precisely why I spend so much time talking about what God is doing in that land. There is nothing more satisfying or exhilarating as working together with a “band of brothers” to serve our Lord Jesus by sharing His goodness and love with others. Freely to those who love Him. Come to that fountain, oh drink, and live! Come to that fountain, oh, drink and live! Flowing for those that love Him. And drink of the water of life. Is flowing for you and for me. 5:27 AM There were no 110 Award winners on the last exam, though one student made a 109. I think it’s only in my classes that students go away unhappy when they get a mere 100 on a test. The final next Tuesday should be a cinch – translation and parsing from a selected portion of 1 John. 5:24 AM Chuck Baldwin shows us in eloquent words just what’s wrong with our Republic. As he says, thankfully we have alternatives. But does anyone really care anymore? "There's an incredible sameness about them. They're following the same script," she told reporters in a briefing on the study of a dozen American and world history texts issued Feb. 26. In a 1,000-page textbook weighing almost eight pounds, "There's so much included," Mrs. Ravitch said. "They're incoherent because of the pressure to include everything. They're colorful but they have irrelevant graphics." Inspired by that, I would observe that seminary textbooks can be just an indulgent of group-think and menticide. I for one am grateful that at least some textbooks are willing to challenge the status quo when it comes to long-entrenched views, say, of textual criticism or the synoptic problem. 5:17 AM Have you checked the Dow lately? 5:50 AM I see I need to have my Greek New Testament rebound again. This will be the fourth time. It's coming apart at the book of Philippians. 5:47 AM Wayne Lehman has some suggestions on how to choose a Bible translation. 5:43 AM What can happen when a church meets on Saturday. 5:40 AM Wedding bells rang last month for two of my Greek students, Josh Barela and Bernice Achumi. Bernice is from Nagaland in northeast India, and Josh just gave Becky and me a copy of her father’s book called Nagaland Revival Fire. It’s a history of the church in Nagaland and an account of the great revival that took place there in 1976. Thank you, Josh and Bernice, for this wonderful gift. Becky wants to write a similar history of the church in Alaba. 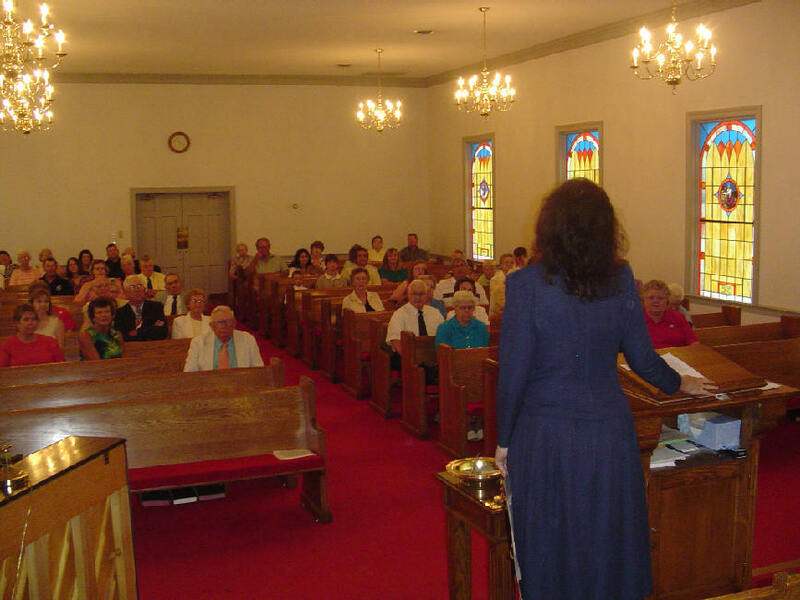 6:15 AM A big Wednesday shout-out to our friends at Childrey Baptist Church in Halifax County. I'm looking forward to seeing all of you again this Sunday. Hope your crops are doing well. I'm sure you're as thankful as I am for the rain last night. 6:12 AM One of the things I mentioned in my Biblioblogs interview is our desire to dig wells next to every rural church in Alaba. 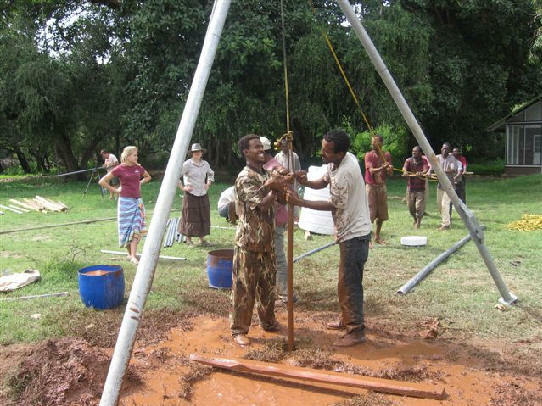 Recent experiments in Ethiopia with a technology that involves no electricity have been successful. This technology has been in use for 20 years in Bolivia. Terry Waller, a Southern Baptist missionary there, has developed it. It's so simple that any village community can do it. The actual striking part is made of spring leaf from old cars. Regular 1 1/2" and 2" galvanized pipe and fittings make up the drill shaft. After the first 10' of pipe, all the rest of the shaft is PVC plastic tubing. The power is supplied by 4 or more people pulling on a rope to lift the drill shaft and then to release the rope so that the shaft drops into the hole. This requires a tripod made of any local trees and a pulley. Total costs: approximately $100 U.S. for the materials. This is an amazing God-send. Here's a photo of the technique sent to us by a fellow missionary in Ethiopia. Please pray for Becky and me as we consider how to best implement this technology in Alaba. 6:00 AM Good morning from beautiful Rosewood Farm in southern Virginia. What a busy "holiday" it has been. Needless to say, I'm eager to get back into the classroom. Today in Greek we grade our next-to-the-last exam. Can you believe we've come this far? I want to thank all of my students for their hard work. The big question, of course, is: Who will get the 110 Award today? I hope it's you. 1) The N & D Construction Company is pleased to announce that the framing of the new chicken hotel is completed. And you can't beat the cost. The cedar posts cost us nothing, as did the pine rafters and the pine roofing slats. Even our nails were given to us by a friend cleaning out his stock. We did have to buy heavy duty spikes for the posts, and so we may have spent a grand total of $15.00 on the project. And the labor, of course, is free. Lord willing, tomorrow we'll begin putting up the tin roof (from scavenged materials, of course) and the siding. Wait till you see the interior design. An architectural phenomenon. 2) Guess who's cooking supper again? Tonight's menu: farm fresh hamburger mixed with cream of mushroom soup, Jasmine rice, and country corn which we canned last year. 3) If you haven't seen the great posts on the Fourth of July over at Covenant News you're really missing something. Chuck Baldwin and Lee Shelton at their very best. 5:08 PM Seems that Biblioblogs wants to interview me for their blogger of the month in July. I just received the questions. I look forward to answering them. Meanwhile, I'll just say this: I wish every Christian man and every Christian woman would blog. It's always a good thing to share with others what the Lord Jesus has been teaching us, and the cost is practically nothing. Well, I'll try and get to the questions tomorrow. Right now I'm getting ready to cook my favorite supper, Chinese food, with, of course, my secret ingredient. 5:03 PM Today was the hottest day of summer by far. We worked in 100 degree heat, but the killer was the humidity. Still, we got all the holes dug and posts set for the new chicken hotel, and have begun setting the rafters too. As we were just starting our work day, Nathan said to me, "Dad, I've got a Ph.D. too." "You do?" "Yeah, my post hole digger." At the moment my hands have 2 major blisters, my arms are scraped up from dragging trees through the forest, and my flat Hawaiian feet are letting me know they're there. I feel like I'm having my mid-life crisis. Hmmm, not a bad one to have, come to think of it. I've made it this far! 6:58 AM Did I mention my latest hobby -- genealogy? I had no idea that a family tree could be so interesting. It's like that first plastic model you put together as a child. You're eager to finish it, but the real joy is in getting there. 6:52 AM Yesterday was one of the those perfect days that only the Lord could have arranged. 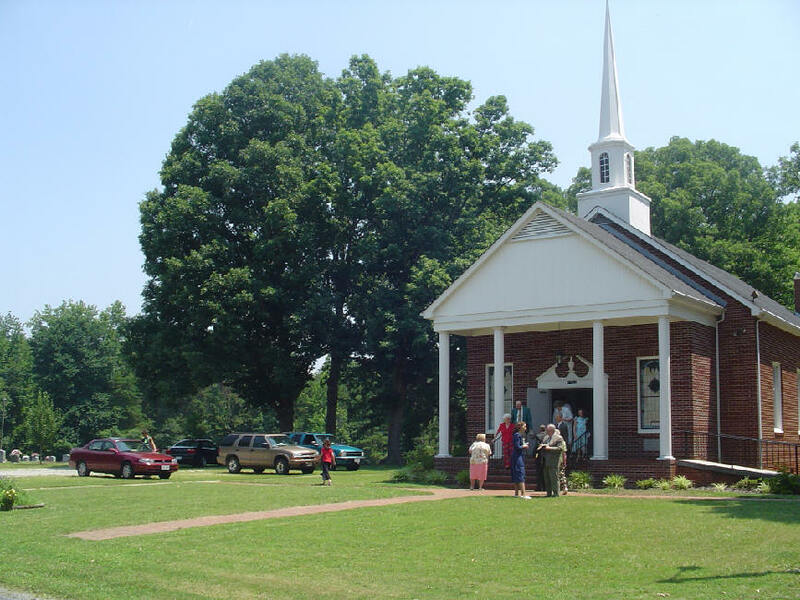 It began at Union Chapel Baptist Church, one of the oldest congregations in our association and established (like our home church, Averett Baptist Church) as a daughter congregation of Grassy Creek Baptist Church in Granville County, North Carolina, founded in 1754. Becky and I were there to give the congregation an update on the 2 Ethiopian congregations they have adopted. During the Sunday School opening, the missions director read an email we had sent the church earlier about the persecution taking place in Zobechame, where the believers have been violently attacked in recent weeks. Later, Becky took 10 minutes during the main service to read a letter from the Alaba elders and to report on what she and Nathan had witnessed firsthand just a few weeks ago. Like many of our local Baptist churches, this one is very missions-minded and appreciates the personal touch a ministry like ours brings. Two weeks ago the church had VBS and Alaba was their missions emphasis. The children raised $266.00 for Bibles. 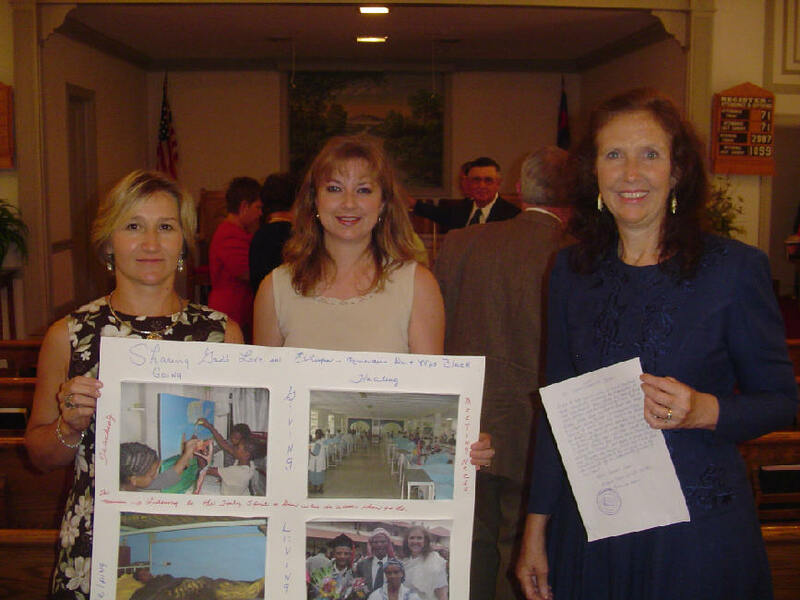 The photo below shows the VBS directors with their Ethiopia poster and Becky holding the letter from the Alaba elders. Pastor Earnie was on vacation and in his place our good friend Julian Motley brought the message. 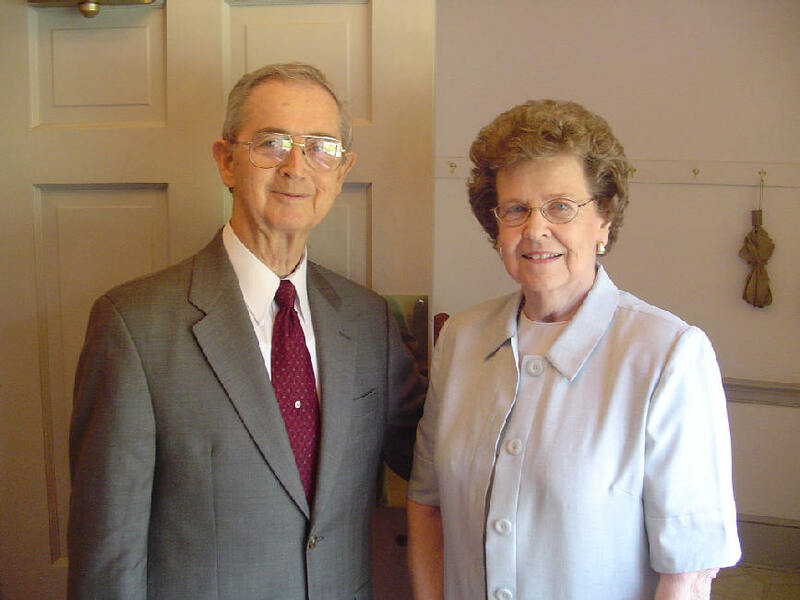 Julian shepherded Gorman Baptist Church in Durham for 30 years before "retiring" and joining our faculty at Southeastern. His message from Mark 7 meshed beautifully with what Becky had reported about Ethiopia. The church, he said, has the authority, by prayer, to assault the devil's hold on this world. Prayer can remove the greatest of obstacles, including the wall of Islam, he noted. He also reminded us that "faith arises out of an environment of Scripture," so that we must saturate ourselves in the Word of God daily. It was a wonderful message and Becky and I discussed it at length on the drive home. Then it was back home for some rest before wrapping up a few farm projects. 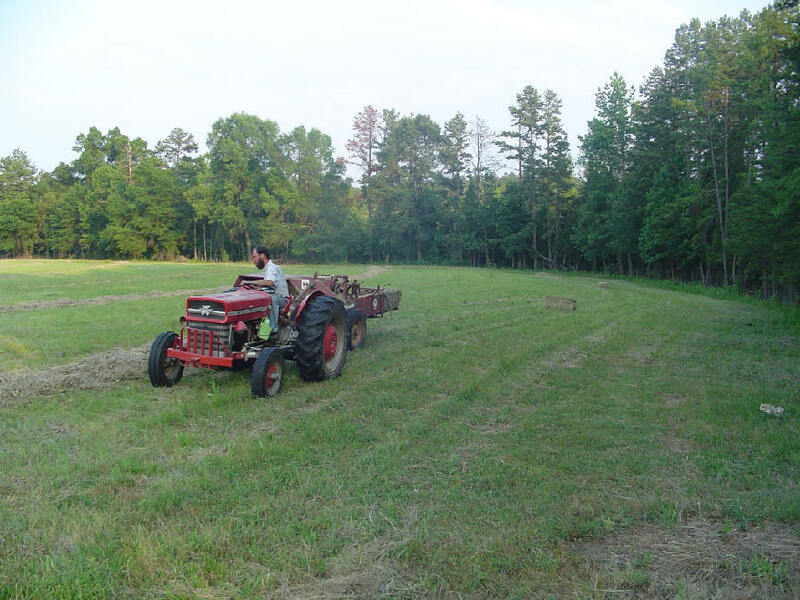 We don't normally work on the Lord's Day, but the hay had to be gotten up, so into the fields we went. 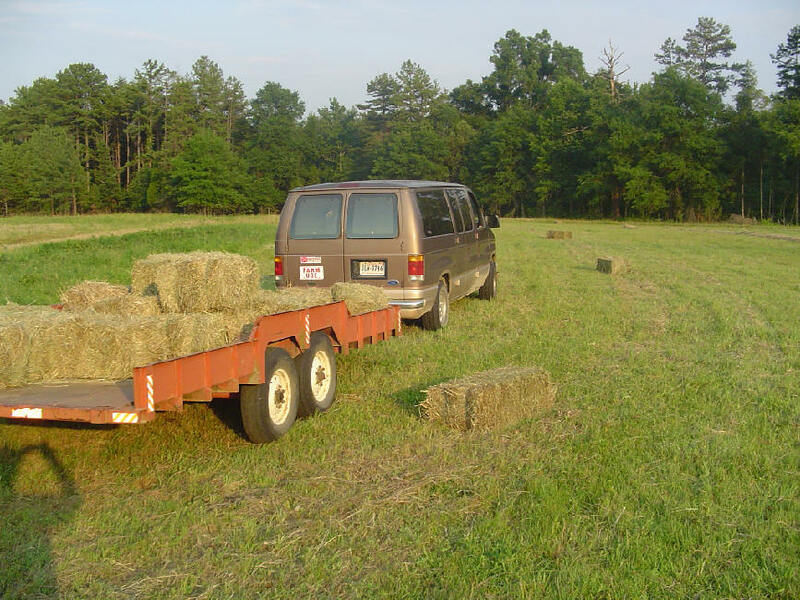 Our Club Wagon has 200,000 miles on it, and has taken us from California to Gettysburg to Zion and Bryce and Mount Rushmore, but it's not too proud to pull our Hardy trailer to get up our bales. Life doesn't get much better than this. Special thanks to our friends at Union Chapel for putting their faith to work on behalf of their brethren in the Horn of Africa. 8:10 AM I just had a wonderful conversation with Fasil. It's 3:00 pm in Addis. He tells me his Greek class is going gangbusters. This was the course I taught there a year ago. Many of his students are getting A plusses on their quizzes and exams. And he's even more generous than I am. I give one extra credit point per correct word on the English-to-Greek extra credit. Fasil gives two. I promised him I would buy a United Bible Societies Greek New Testament for every student who made C or better in his course. It was good to hear Fasil's voice again. I'm missing Ethiopia. 8:03 AM Yesterday morning Nathan worked me to death hauling cedars, so in the afternoon I decided I'd take it easy and snap a few pix. Everyone was in a relaxed mode. Here's Trav with a big yawn. For the first time I noticed he had some gray hairs in his mane. Join the club, buddy. Nate got out the rake. Don't you just love the blue paint job? I may not know much about farm equipment, but boy can I paint. 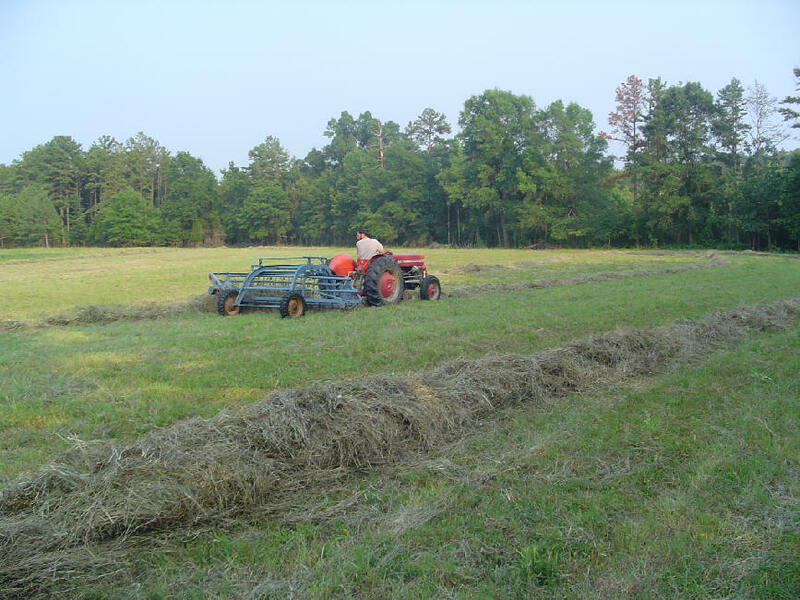 I don't know why it is, but I love seeing freshly-raked hay in their neat rows. We'll bale today or tomorrow. 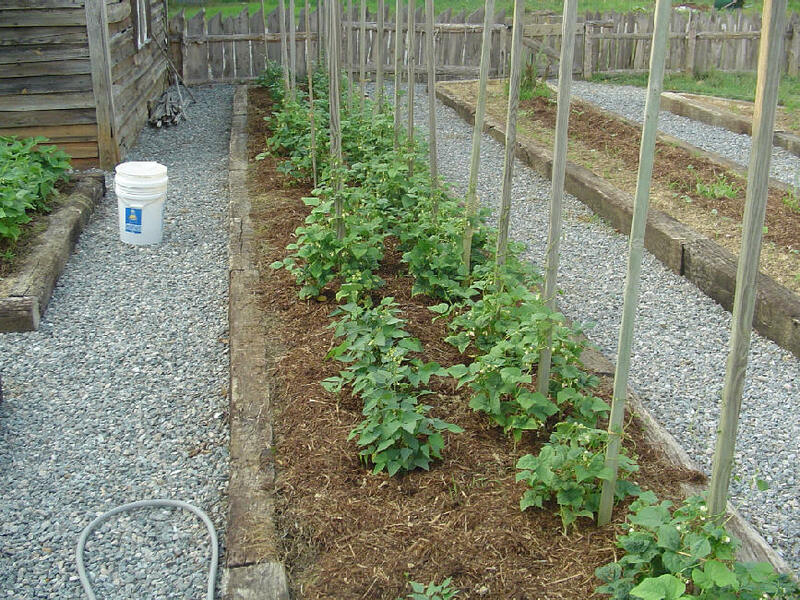 Becky spent part of the day tying up her bean plants, which she's already started harvesting. My job? I'm the mulch-bringer-inner. 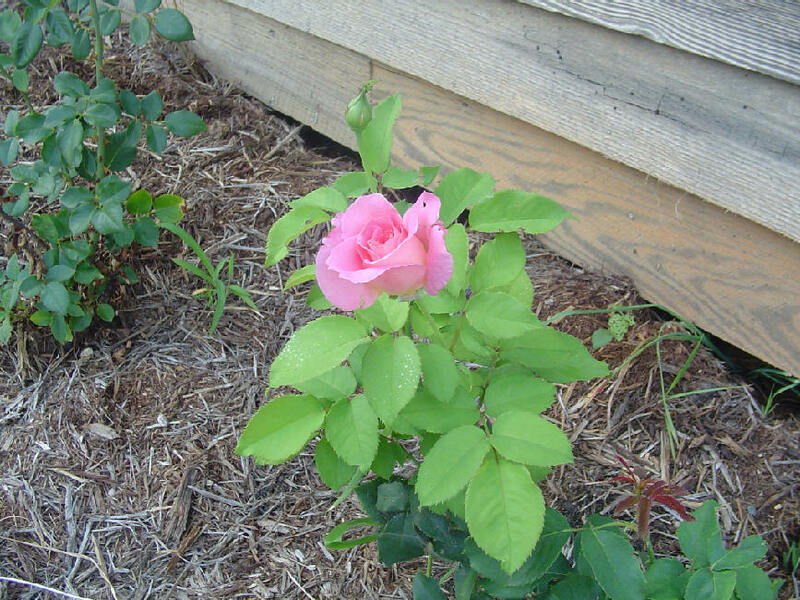 Her rose bushes are also doing fine. Pink, red, yellow, and white. We debated whether to cut them and bring them inside. We decided to leave them be and enjoy them in their natural setting. Later on I did an archaeological dig in our crawl space. Guess what I found at about the Crusader level? This was the last surf board I designed. Bill Stonebraker of Hawaii shaped it for me. It's called a semi-gun and works both on medium-sized waves and big surf. Bill and I were in the Jesus Movement together. He's now pastoring in Honolulu, still as excited about Jesus as ever. I think I'll put the board in my office at school. 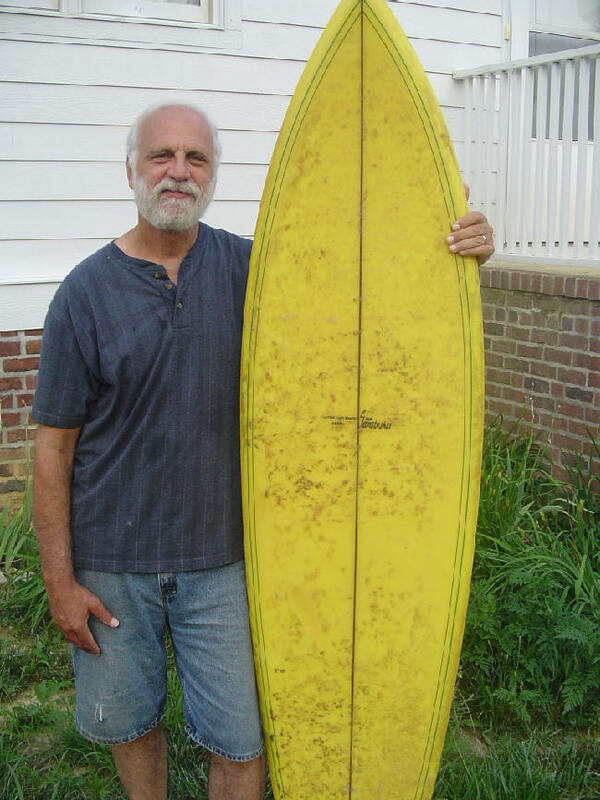 You never know when you might meet a big-wave rider from Wilmington. 6:59 AM Farm news and notes: Nate and I will be working at a neighbor's farm putting up rain gutters and cutting cedars most of the day. He's been fixing up the old place on the farm, a two-story beauty....Plans are to start building our new chicken house on Monday. From its size, maybe we'll call it the chicken mansion....Becky starts canning vegetables today....We hope to bale hay on Monday also. The weather in southern Virginia is perfect for field work: dry and hot. 6:56 AM Anderson University in Indiana has openings in church history and theology. 1) Here’s an interesting link discussing the writing habits of ancient Greeks. It includes links to images as well. Fascinating. 2) Click here if you’d like to begin reading the Didache in the original Greek. I think you’ll be pleasantly surprised at how much of the vocabulary and grammar you already know. 6:49 AM No surprises here. Warren Buffet is planning on supporting Planned Parenthood, which performs 180 abortions for every woman it sends to an adoption agency. Thank you! Thank you for the clarity and brilliance and wonderful reasoning of WHY FOUR GOSPELS. You said it all so well! This book is like a bubbling brook of clean living water in the bitter wilderness of New Testament scholarship! It's what I've been searching for all these years -- a clear concise statement that takes seriously the patristic evidence and what I myself see in the four gospels themselves! Thank you. Just another illustration of the power of the printed word to change (or confirm) people’s perspectives on important issues. That’s one reason I hope I will never stop writing and publishing books, even though I believe in the power of the Internet to reach a vast audience immediately. 6:36 AM In Greek class this week we translated a portion of the Gospels dealing with the crucifixion of Jesus. I was reminded just how very little is said in the New Testament about the bloodiness of the event, which is one of the reasons I didn’t care to see Mel Gibson’s The Passion. As an aside, it seems clear to me that Greek should have been spoken in the movie, but at least in one scene Gibson has Jesus speaking Latin to Pilate. Latin was but little known in Palestine and certainly was not the lingua franca that Greek was. The Archeology Institute of America discusses the languages used in the movie as well as other aspects of history here. It concludes, rightly in my opinion, that the movie is “unmoored from documentary realities” – which makes one wonder why it was touted by so many evangelicals as the most accurate portrayal of the crucifixion of Jesus ever made. If I were even more of a curmudgeon I would point out that the Latin accent used in the movie (judging from the trailer I saw) is the ecclesiastical pronunciation – an utter impossibility, as the Catholic Church did not exist at the time Jesus was put to death.